Before installing Thinkscroller, make sure that there are no compiler errors in your project. 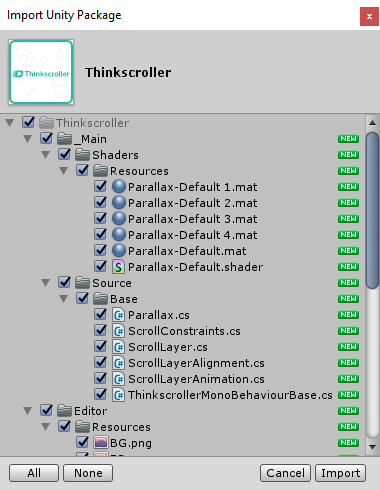 Extract the Thinkscroller package into your Assets folder - make sure to include all files. After that, you're ready to go! Thinkscroller requires no further project setup.